Massively Speaking Episode 42 has a lot of information all about WAR! Appropriate, since joining us this week is Massively.com's newest blogger, Brooke Pilley. 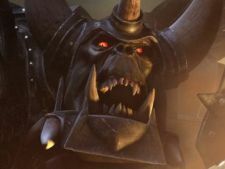 A writer on the Greenskin blog, Brooke brings a bevy of Warhammer Online knowledge to the podcasting booth and, along with Shawn and Michael, offers up a great deal of insight into the recent expansion announcement. That and a whole lot more await you in this episode! Massively Speaking Podcast Episode 42 originally appeared on Massively on Wed, 04 Feb 2009 10:30:00 EST. Please see our terms for use of feeds. From the way it's described it sounds exactly how Final Fantasy XI's job system works. Great show as always. It is except that you can only choose one main job and one sub job. Really wish a game out there would replicate FFXI"s job system :( It is genius in my book. But I guess that would mean more mob grind or way too many quests to be scripted, unless you could just do over all quests IF you changed jobs... Hmm. With WAR and LOTRO as obvious WoW "knock-offs" why is it that a title like Runes of Magic gets the straight kick to the plumbs on this one? Is it because it's F2P? Is it because it doesn't attempt to conceal the source material it's aping? Hate WoW? Start hating the cookie cutter batch of modern MMORPG of the high fantasy genre. Why does nobody discuss the homogenized rehashing that developers are quilty of these days... complelled by the lowest common denominator? When are we going to see something really original again? Sorry for the rant. Love the cast. Funny how much FFXI love there is right here, right now. RDM75, BST75: Remora server. Nerdy peace. I love wacky comparisons, so here we go: LotRO is a WoW knock-off just like a Honda is a Toyota knock-off. Why do some people prefer Hondas? Why do some people prefer Toyotas? It's because they're different cars. Going with that same comparison, Runes of Magic could be considered a golf cart with Toyota body panels welded on. Can't believe I typed the word "quilty" instead of "guilty" in my post about WoW knockoffs. Between all the talk of cookies and quilts, it's obvious that I hankering for a home economics MMO. Freudian slip?